Trophy Alpine Ibex are native to much of central and northern Europe with some of the largest herds in Switzerland. Extremely rare in the United States, many herds have experienced some hybridization. 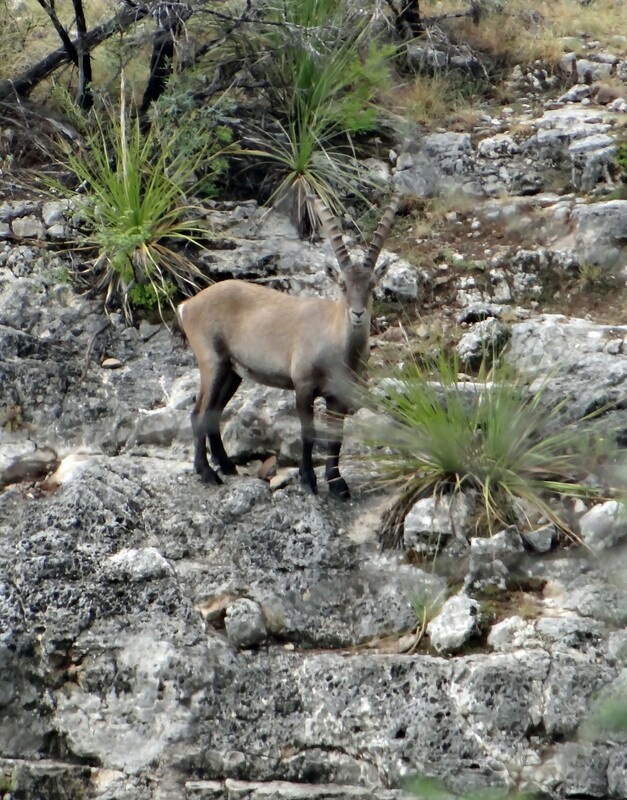 Alpine Ibex are a fairly large mountain goats reaching weights of over 300 pounds. Here at Star S Ranch, we have spend 6 years establishing a breeding population. We released our first billies into the wild in 2013 and with our improved breeding success, expect to continue releasing a growing number of young males annually. Alpine Ibex are beautiful mountain goat with a dark gray coat and extremely heavy horns reaching lengths of nearly 40 inches. Unlike Nubian Ibex, their horns tend to rise straight up with only a slight curve which makes them appear even larger than they are. In coming years, we look forward to having hunting some tremendous trophies.